This will be the last trip down memory lane on the subject of my village in North Wales. The journey has been personally rewarding, as I have remembered many things that I thought I had forgotten. These experiences and people during the first twenty one years of life, no doubt had an influence on the person I became. I blame no one but myself though for some of the poor decisions I made later in life. ﻿ I don't think that I properly appreciated it at the time, but my Mother's sacrifices were all for the benefit of my sister and I. 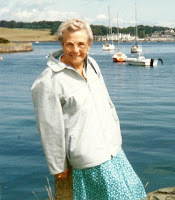 Following my Father's death in 1958, Mum showed no interest in any other man for the next 47 years until her own death in 2005. She may well have been the product of her era here, as she was with a great work ethic. She would often have up to three part time jobs on the go, all of which enabled her to support her children, and these jobs would be worked around us, so that we were never without her company. 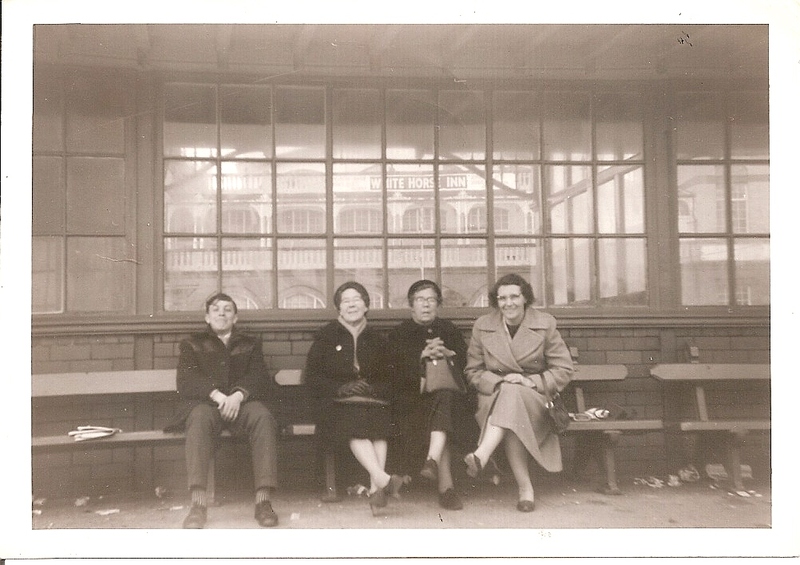 I think that there were four things of vital importance to Mum; good, wholesome food would always be provided; clothes would always be on our backs; annual holidays and day trips would be taken, and essential bills would never go unpaid. There would be luxuries if there was any spare cash about. She was the master of a budget, and the only things I remember being on "tick" were from the catalogue, which was paid for on a weekly basis to the catalogue man. I have tried to be as prudent as Mum in my life, but unfortunately, on occasions I have failed the Mum test. We were never a family of couch potatoes. There was always some walk or other at weekends or during the school holidays. 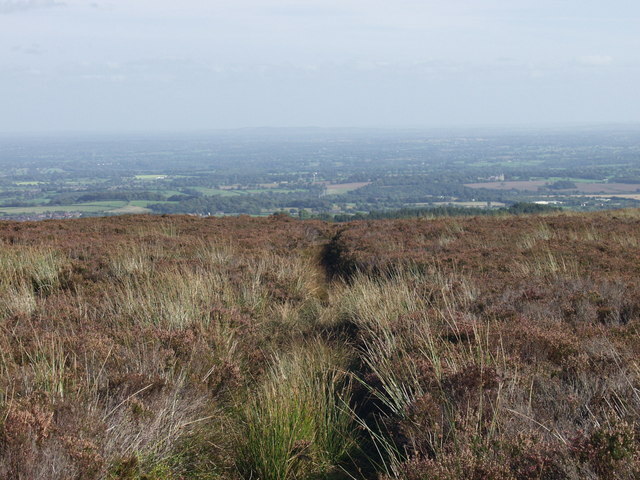 I remember the narrow roads with high hedges; the banks in parts full of wild raspberries and hazelnuts, which were gathered and gleefully eaten, either at the time, or kept until later. While writing this, I am reminded of a huge hazard on some of those roads. It came in the form of a Welsh Methodist Minister and his car. He was a Nationalist who refused to speak English, even though he knew that you didn't speak Welsh. Being under 5 foot tall, there were blocks on the pedals of his car, and all you could see was the top of his head. He was a manic driver around the lanes of the village, and his speed was frightening. Fortunately, due to his excessive use of the accelerator, you could hear him coming, and just had enough time to jump into the hedgerow before he sped past you. Unbelievably, he never had an accident, but he did cause a few heart tremors in others. 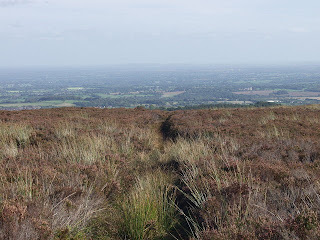 We would often walk to the hamlet of Tainant, and on to Ruabon Mountain. You could then walk across the mountain, past one of the reservoirs to Rhos and back home across country. At the right time of the year we would go to the mountain to pick wimberries. There amongst the heather and sheep droppings we would collect this lovely, small, blue fruit. As can be seen from the photograph, if you've never been collecting wimberries, it is a back breaking exercise, and seemed to take forever to fill the containers. The effort was worthwhile however, as the result was loads of pots of wimberry jam, which lasted for a few months. With Mum, you certainly never wasted the access to beautiful countryside outside of the village. Wright & Sons ran a bus service from Penycae to Wrexham via Rhos for many years. When the bus industry was de-regulated in 1986, there was fierce competition between Wright's and the much larger Crosville company. Wright's, the last surviving independent local company, ceased operations in 1993, leaving Crosville as the sole service provider in the Wrexham area. I was good friends with the youngest of the Wright sons, and would often be in their home playing board games. They also had a field opposite the garage where we would play games. I remember during one summer that we decided to have a sports day - not just the two of us you understand, there were other friends. It was the first day of the school holidays, and we set up a high jump. It came to my turn, and while I knew that the idea was to jump over the pole, I slipped on my run up, and broke my wrist. The plaster came off six weeks later on the last day of the school holidays. Along with the regular bus service, Wright's provided special excursions which were very popular, and if memory serves me right, the same people seemed to go on all of them. This included Mum, Sister and I. A very popular trip was what Wright's called "Around the Coast", which meant a beautiful trip through Snowdonia, on to the North Wales coast and back home. Another special each year was a weekend trip to see the Illuminations in Blackpool. 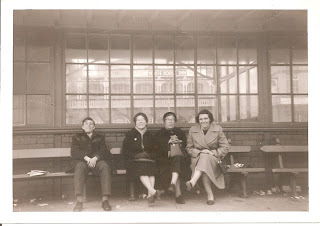 That's me on the left in the donkey jacket (I never was fashion conscious); Mum is far right, with my Nan (Grandmother) next to her. The other person is Nan's friend. My Sister took the photograph as she would do anything to avoid being in one. Sorry Sis. Blackpool doesn't seem very far away from the village today, but then, it seemed to take forever to get there, hence the need for a weekend trip. I have few detailed memories of actually being in Blackpool, but as I detect a hint of a smile in this photograph, I guess it couldn't have been that bad. One thing I do remember though is that my Sister and I were always the youngest by far on all of these excursions. In addition to excursions, Mum always ensured that we had an annual holiday. We went to Paignton in Devon, the Isle of Man, but mostly to Rhyl, on the North Wales coast. 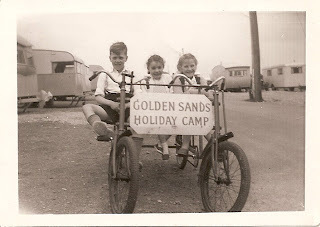 In Rhyl it was always the Golden Sands Holiday Camp. Here's a picture of my Sister and I with our cousin in the middle. Holidays were often with other family members, and I wonder if this helped to share the cost. My goodness, everything looks as if it's from another era, which of course it is. The caravans were basic, the facilities minimal and the bikes crap, but from looking at many photographs, it did seem as if we had a good time. Credit to Mother, as unlike other families in the village who rarely went anywhere, we were often off somewhere - again mostly courtesy of Wright & Sons coaches. There is much more that could be said, but I'm in danger of losing you, and perhaps it's best to draw this sojourn to a close. However, let me conclude with the following. Near the edge of the village you will find Salem Welsh Baptist Chapel. This is also the graveyard for those of a non-conformist persuasion. If the grass wasn't so long, you could see the grave of my Mother and Father. It also contains the remains of my older brother Peter, who died before I was born at the age of six months. Mum never spoke about him, but I often wondered what life would have been like having an older brother. 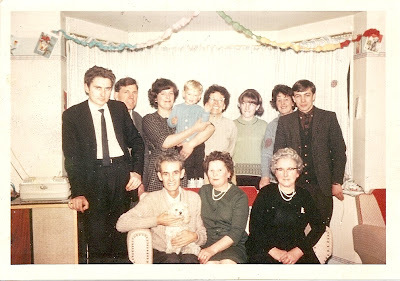 I love this photograph, not least because it reminds me of the days when I was slim (that's me on the far right). More seriously, it reminds me of a remarkable man, Uncle Idris - he's sitting holding the dog, with his wife Pat beside him. He suffered from Silicosis, a degenerative occupational lung disease caused by breathing in too much silica dust. Unfortunately, a far from rare disease in mining communities. He was bed-ridden for the last two years of his life. My sister and I would visit him most Sundays after Church while Mum was getting the dinner ready. We loved his company. He was well read, and could speak with interest on a range of subjects. It was painful to see him struggle for breath after a coughing fit, but he never complained, and I always remember a smile on his face. A remarkable man indeed. Well there you have it, the end of my journey. Unremarkable and very ordinary, but isn't this what most of our upbringing is about? I guess the important thing is what we do with the hand that is dealt us. My work life over the following forty years was very different, but perhaps that is for another time. I have enjoyed this bout of reminiscing, and appreciate the few people who have joined me on the journey.